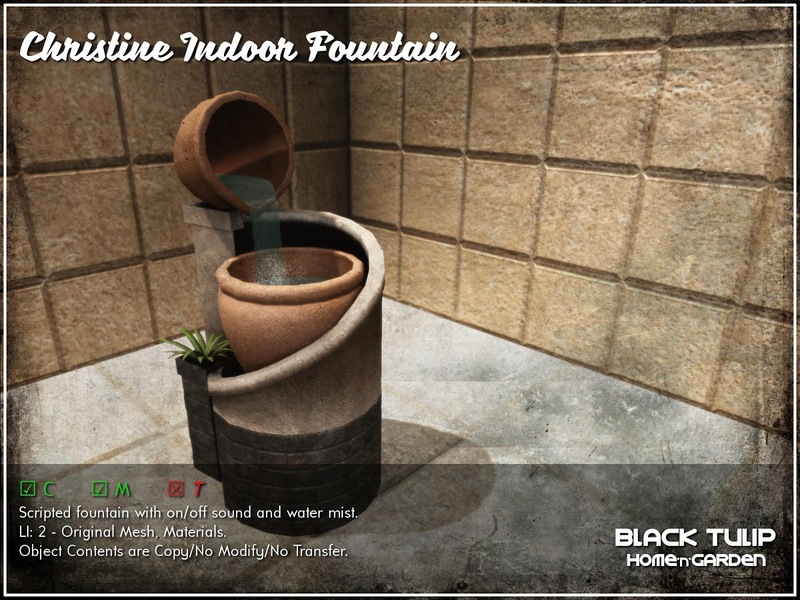 We have four new full permissions kits for Sixty Linden Weekends and Super Sales Weekend: The indoor fountain #1, a beautiful indoor fountain that decorates any corner where you want it, and the set made of the independent parts. 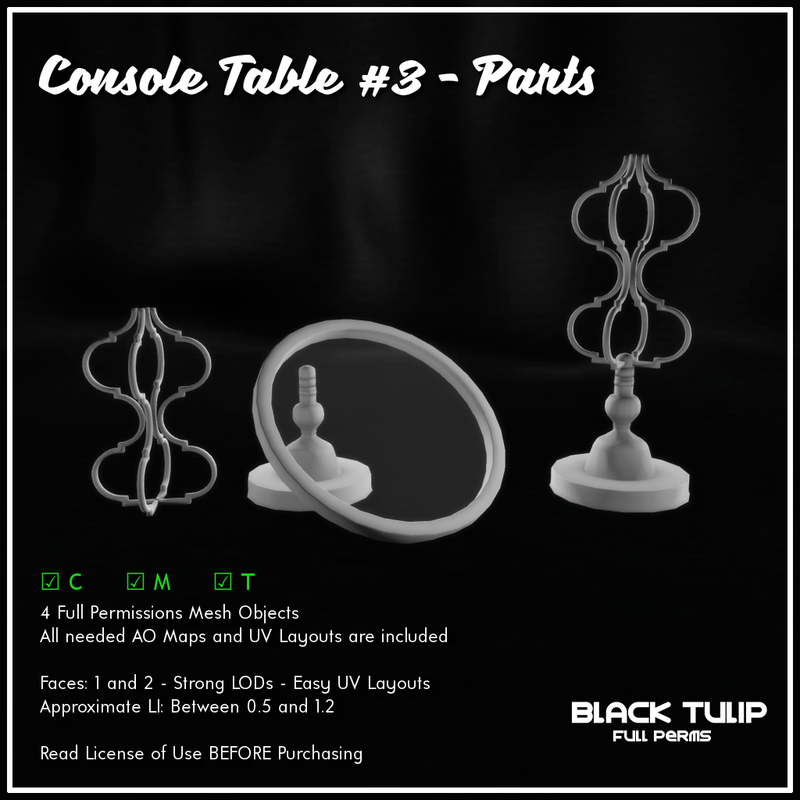 These sets contains detailed meshes with hand-made LODs for optimal display at any distance while keeping low LI. 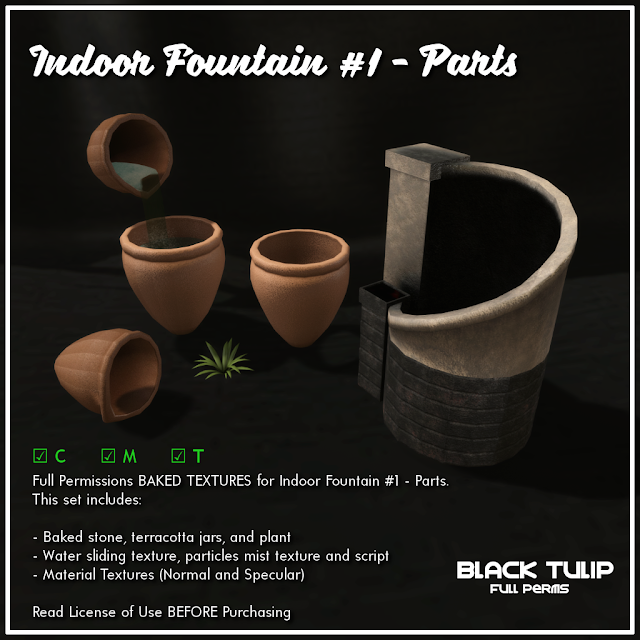 The sets are complete with one pack of baked textures each, including material textures. 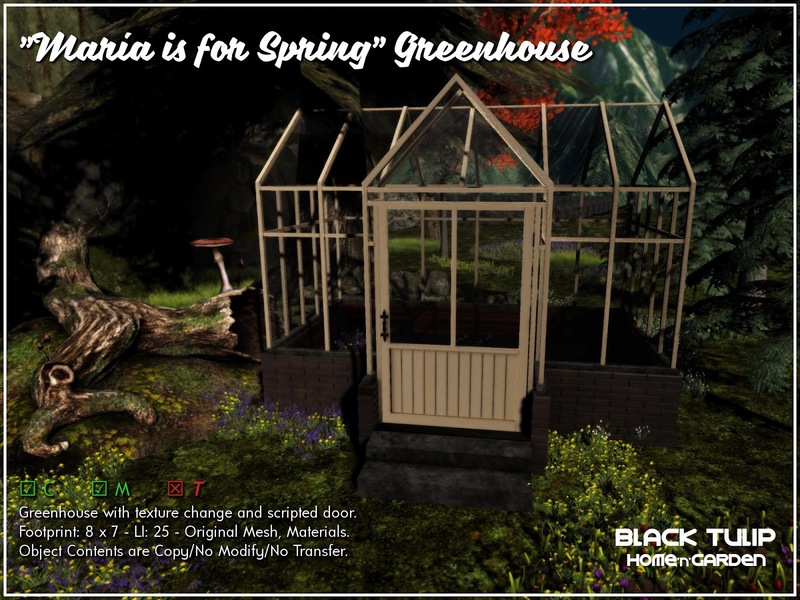 Promotional price is valid only until Monday. 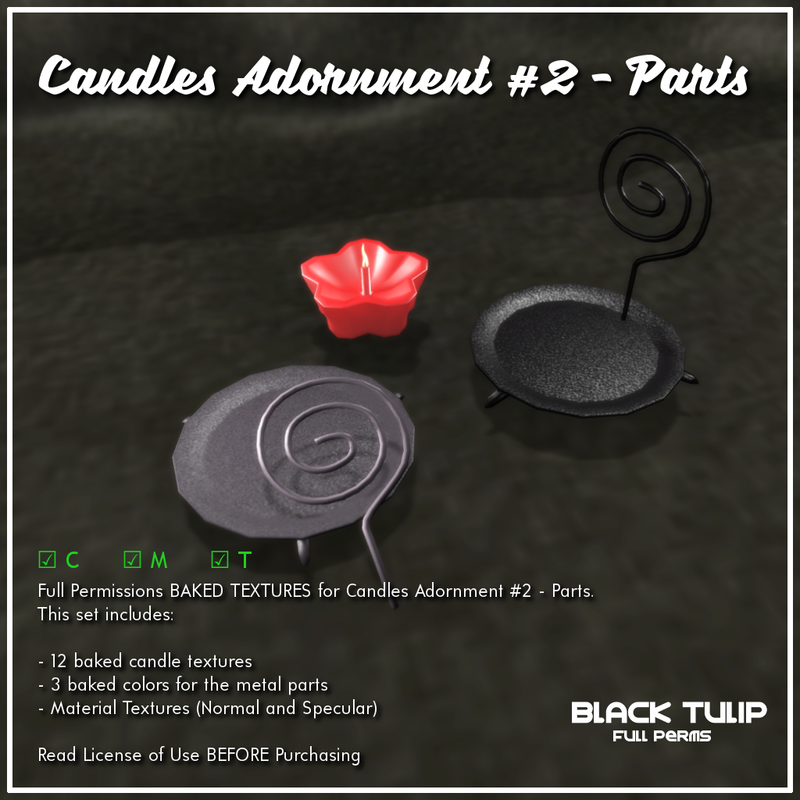 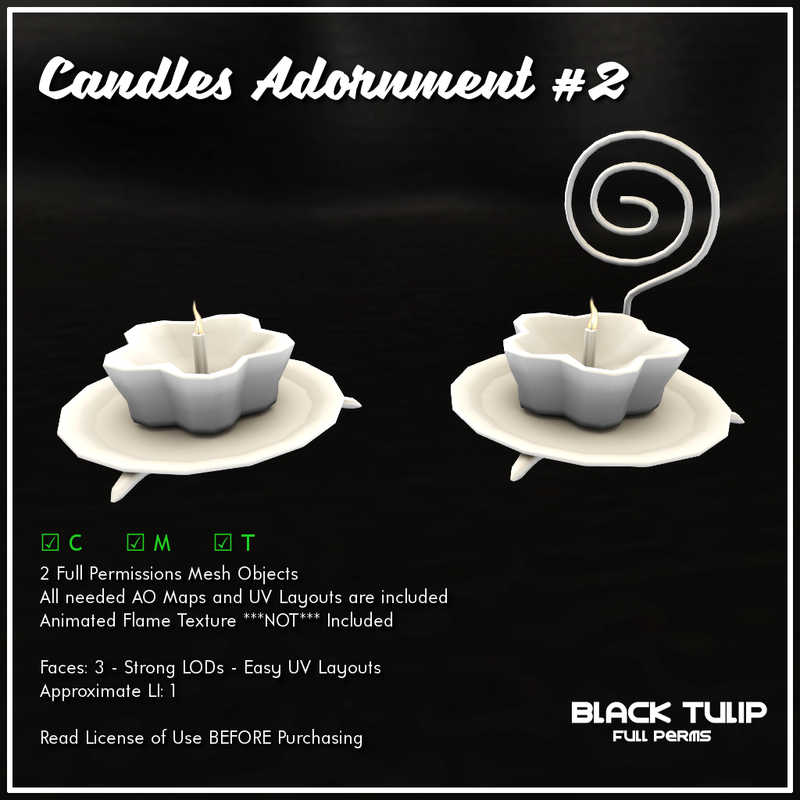 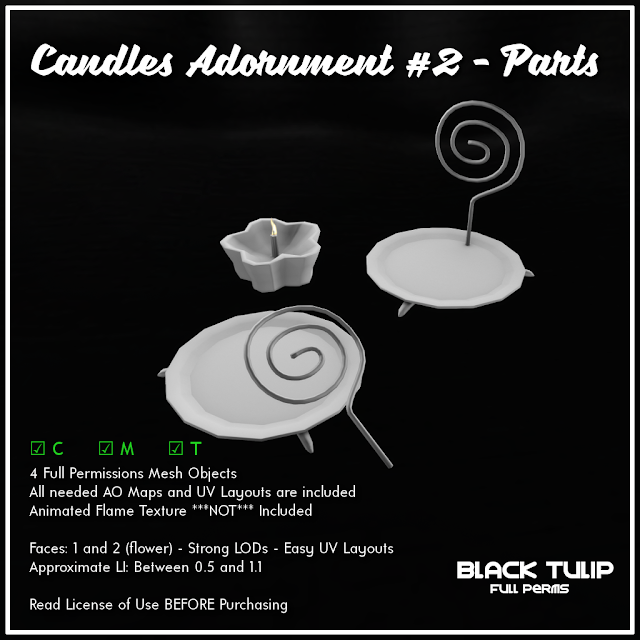 We have two new full permissions sets for Sixty Linden Weekends: The candles adornment #2 set in two versions, and the kit with all the separate parts. 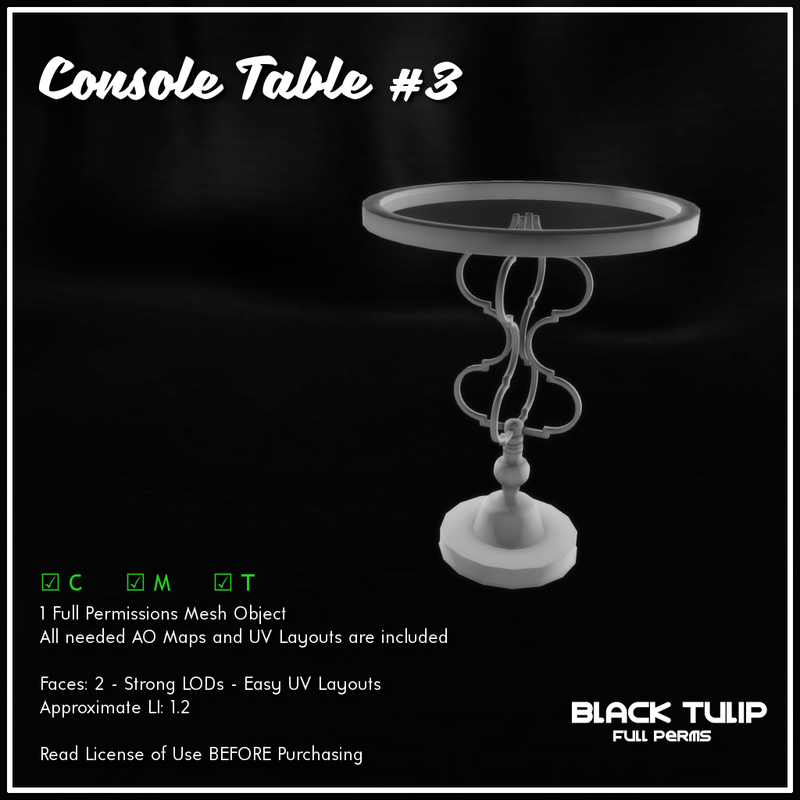 All sets contain detailed meshes with hand-made LODs for optimal display at any distance while keeping low LI. 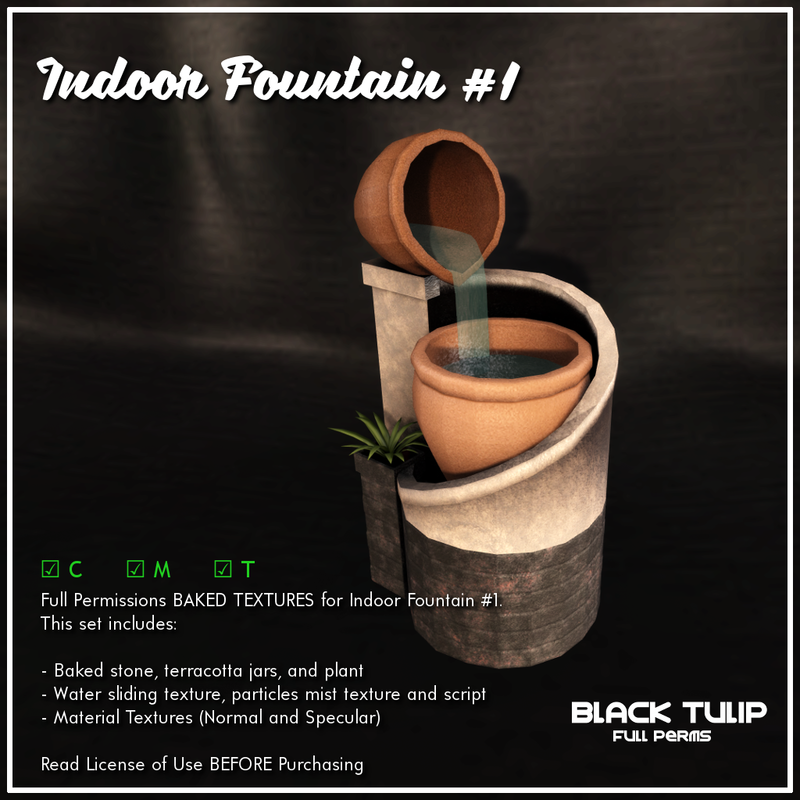 The sets are complete with one pack of baked textures each, including material textures. One of the textures set is Texture Change Ready (the corresponding to the assembled console table): This means that it includes a set of notecards ready to work with our texture changer script with materials, to help you speed your production time. Promotional price of L$60 per set is valid only until Monday. 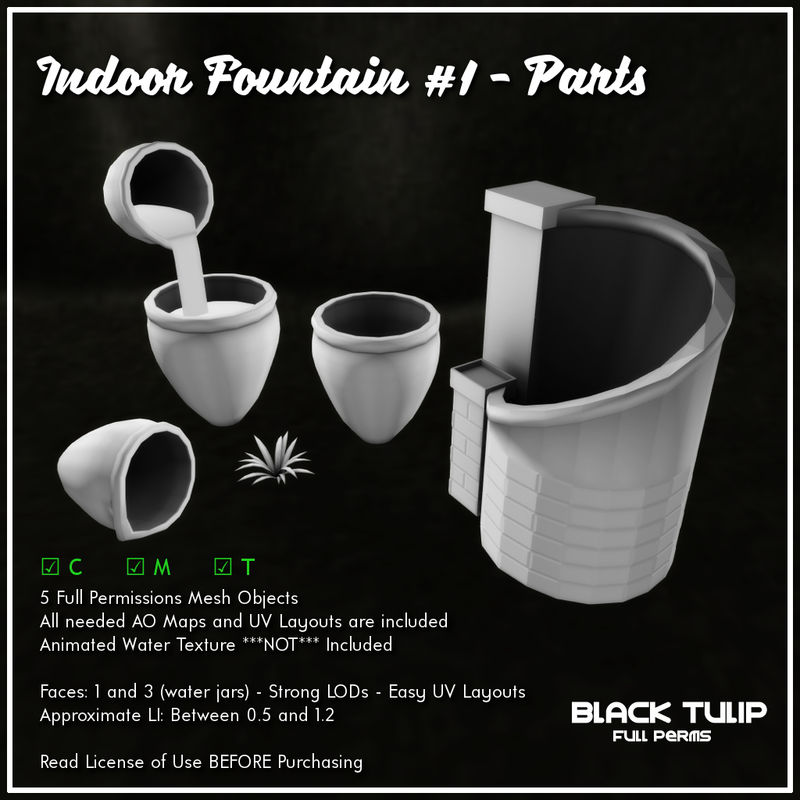 Click here for your taxi to the store. 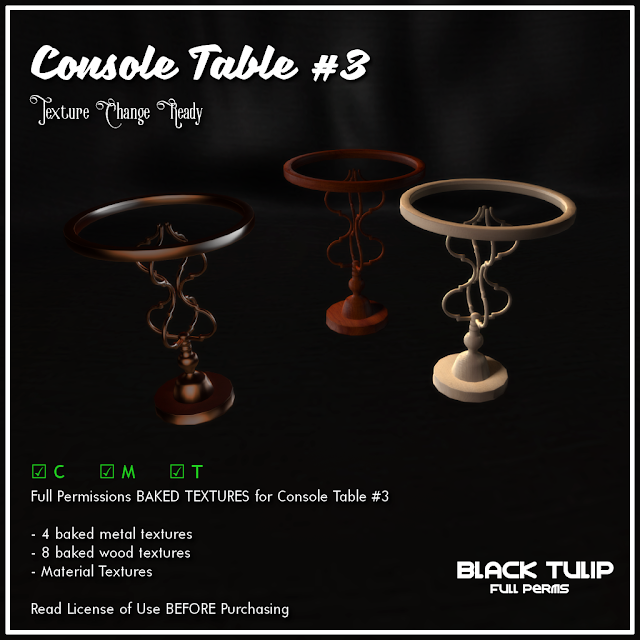 We have two new full permissions sets for Sixty Linden Weekends: The console table #3 and the kit with all the separate parts. All sets contain detailed meshes with hand-made LODs for optimal display at any distance while keeping low LI. The sets are complete with one pack of baked textures each, including material textures. 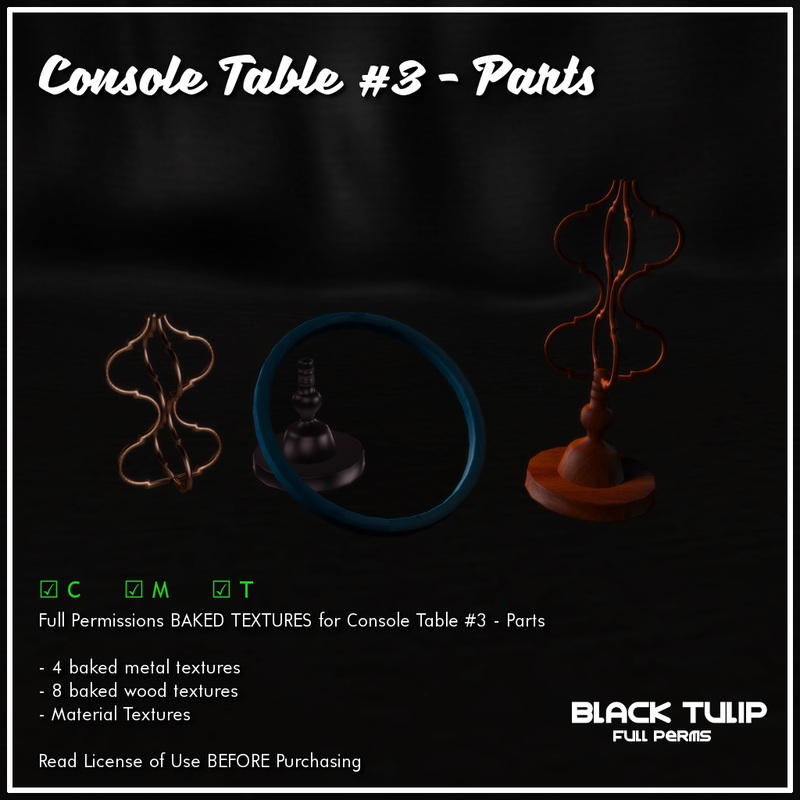 One of the textures ses is Texture Change Ready (the corresponding to the assembled console table): This means that it includes a set of notecards ready to work with our texture changer script with materials, to help you speed your production time. 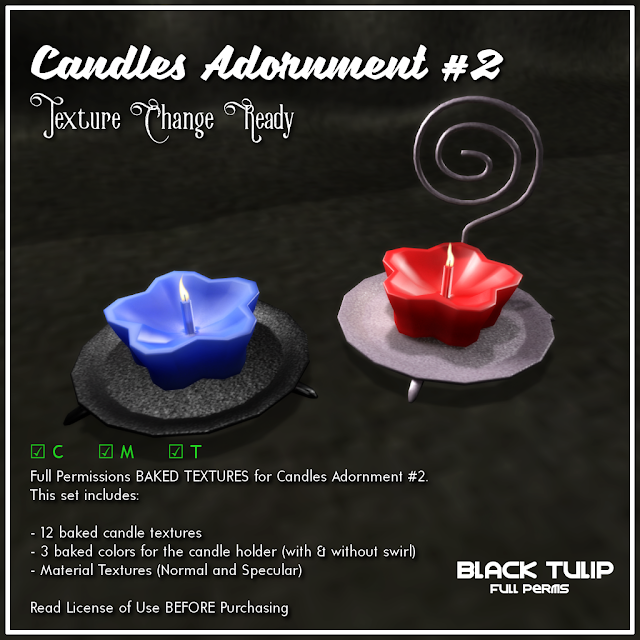 Promotional price of L$60 per set is valid only until Monday. 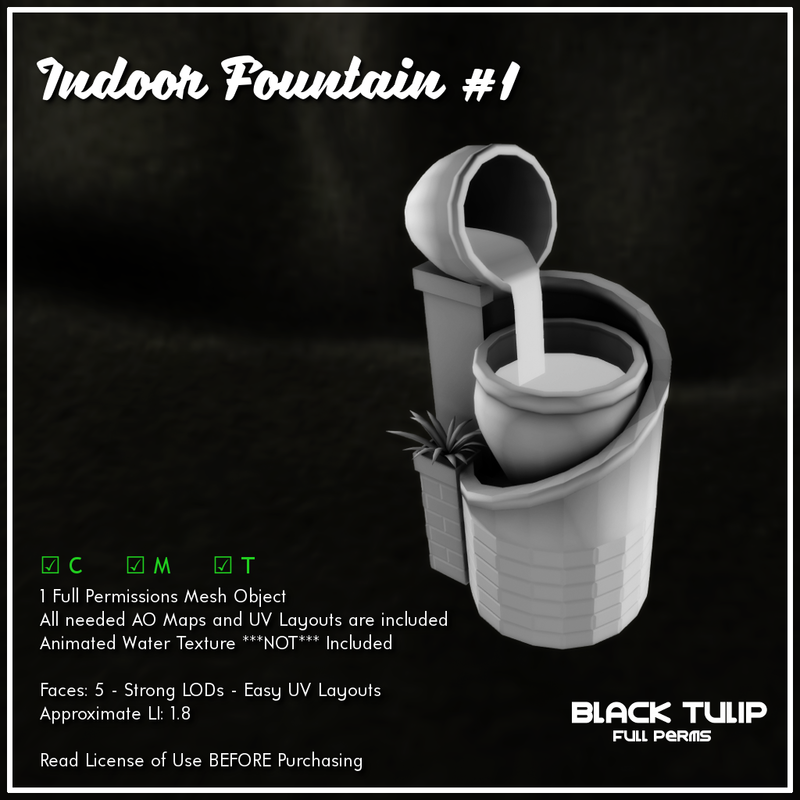 Click here for your taxi to the store.